What are MLM Mastermind Leads and what should you know about them? Typically, MLM Mastermind Leads are simply people who participated in a Mastermind Call or training event. For example, it could be a list of participants who attended a certain seminar. Or, it could be a list of names and phone numbers of people who attended a Mastermind Conference Call. In either example, these are highly targeted prospects for your MLM Business. One of the best ways to get your own MLM Mastermind Leads is to host your own Mastermind Call or training. It’s actually pretty simple to do. And you don’t need to be a top earner to do it either. Instead, you simply need to focus on what you are good at. So if you are good at designing capture pages, you could host a Mastermind Call on how to build a first class capture page for your MLM Business. Does that make sense? In order for people to participate with your call, you have them give you their name, address, phone, number and email. Your ultimate goal is to build a large list of people, preferably 1000 or more names. Additionally, you want to keep in touch with your MLM Mastermind Leads often, so you can build a relationship with them. Once you’ve done that, you can promote a variety of products and services, such as hosting, website design, coaching and even your business opportunity. By doing this, you position yourself as an expert and will naturally attract others into your business. In addition, you will have a real business that provides multiple streams of income, in addition to your network marketing income. This is what most of the top earners in our industry do. Instead of promoting their business opportunity, they promote some type of educational product, such as a Mastermind Team, an eBook, a coaching session, or a seminar. You should follow a similar approach if you want similar results. In summary, MLM Mastermind Leads are highly qualified network marketing leads. In most cases, these people are folks who attended a seminar, purchased a coaching session or eBook, or some other type of MLM Educational Product. As you build your lead list, your key to success is to stay in touch often and focus on building a large list of leads. 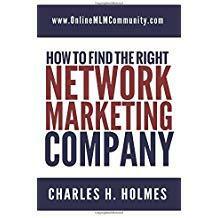 Once you’ve built a good relationship with your MLM Mastermind Leads, you can offer a variety of products and services, in addition to your network marketing income. This will give you additional income streams for your business. What are your thoughts? What do you think about Mastermind Leads? Leave a comment and let us know. I think the MLM Mastermind Leads have paid their dues in this industry and a rich resource of information for the novice who wants to have a successful business with longevity. Also, the process of becoming a MLM Mastermind Lead seems simple. Pretty much they are paying it forward by teaching others on what you are good at, so they will be successful in this industry too. Very informative article.